Odors in your conditioner can be quite unpleasant and sometimes embarrassing. Many Singapore residents have actually experienced the problem of turning on the air to get cool fresh air but instead of getting cool air, their nostrils are invaded by something that smells like body odor or even worse. Below are tips on getting rid of the bad smell in an aircon unit. 1. Make sure your aircon unit is not clogged. The best way to prevent clogging of your aircon unit is by cleaning the unit regularly. To clear this bad, you first need to remove the drain line and then clean it with bleach. Make sure the drain of your aircon unit is dry before replacing it. 2. Carefully remove all debris and dust. Keeping your aircon unused for a long period of time can cause it to collect dust and debris that comes from air and wind flowing from the external forces. Formation of bacteria from this debris can cause bad odor to emanate from the aircon unit. To remove the dust and debris from your aircon unit, lift the top of your aircon unit then use a flashlight to look at the inside then carefully remove all debris from the unit. This will greatly help to remove bad odor from your air conditioning system. 3. Replace or wash the filter. One of the best ways to eliminate any odors in your aircon unit is by replacing or washing the filter regularly. Some units have filters you can take out and wash with warm soapy water while others requires you to replace the filter with a new one. If your unit needs a new replacement, make sure you do it regularly. To get the best effect, purchase an allergen reducing deodorizing filter and make sure you replace it regularly according to the recommendation of the filter manufactures. If you have pets in your house, it is recommended that you change the filters regularly because pets tend to dander on the aircon unit thus clogging it. 4. Use a forming coil clear or non acid liquid to remove bad order from the unit. To remove the debris and dirt completely from your aircon unit, spay a forming or a non liquid coil cleaner in the unit and let is stay for a while till you are sure that the dirt is soft enough and ready to be removed. Use clean water to drain the water from the unit and don’t stop until you see clean water coming out of the system. Then allow the system to dry before switching on the aircon. After this process you can be sure that you will not experience any bad smell coming out of the system. You will only experience a breeze of fresh air. The heat is currently rising in an upward trend and there are some people who’ve decided to cut off the heat, at least in their living room or bedroom. Well, an air conditioner can hassle free suit their purpose. Basically, before we begin with the actual installation process, let us try to understand first a few basic requirements which will assist in easing our work. Before purchasing the air conditioner, it is important that you take into notice, whether the gadget will be sufficient for cooling the whole area, for which it was meant. Because all air conditioners do not come on the same size, it is essential that you make proper measurements in order to confirm that the air conditioner fits in the specific place you intend to install. Also, it’s ideal that the place whereby you’ve decided to install the air con does not in any way close side- ways. It is not that a place that often closes sideways isn’t suitable for installing an air conditioner, but a vertically closing place such as a vertically closing window will assist in easing your work to a very great deal. By this way, your air con will hassle free tight tightly in the specific place that you are intending to install. The place that you also choose for the installation of your air conditioner should have a reliable power supply point present near it. 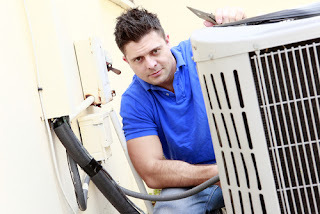 This write up will focus on discussing about air conditioner maintenance in Singapore. Tip#1:Measuring the Installation Area:-First and foremost, it is ideal that you measure the specific area that you intend to cool and then calculate the exact size of the air con which you will be requiring. This will assist in easing the entire process of installation. Tip#2:Knowing where you Want to Install the gadget:-Determine the specific place where you want to install your air con and measure it accurately. Generally, the air conditioner that you purchase requires fitting in the specific area that you intend to put. Note that the measurements of the place that you want to install the gadget should be measured in accordance to the air con that you intend to install since not all the air conditioners are the same. Tip#3:Installing the Mounting Brackets:-This step involves mounting brackets which came with the air con unit that you will have purchased. However, you must ensure that you strictly follow the directions offered by the manufacturer. Slide your air con into the place you want to install it and attach it carefully into the mounting brackets. However, you must ensure that you again adhere to the instructions of the manufacturer. Pull out carefully the extensions on each side of your air con and attach them carefully into the frames that you’ll have made of the place that you’re installing the place. Use any piece of foam, to be precise the one that you may have been offered by the manufacturer, in sealing between the top of your air con unit and the place that you are installing it. If necessary, when it comes to pipe chocking, if you’re not confident that you can chock it appropriately, try to seek the assistance of an expert. Tip#5:Attaching the Drainage Hose:-Attach your drainage hose i.e. the one supplied by the manufacturer to the outside of your air con unit. Carefully, caulk around the outside of your air con in order to assist in keeping the warm air outside your house. After this, plug in your unit; turn it on and the get to experience the cool air that it will be supplying into your house. There are some strict measures that you must adhere to in order to make the entire installation process turn out to be successfully. For instance, if you’ve got an option, install your air con unit in either south- facing or north- facing wall. Both west- facing and east- facing walls often get direct sunlight which simply means that your air conditioner unit will have to work extra harder. In the long run your gadget is likely to get easily susceptible to wear and tear. Last but not the least; while adhering to the aforementioned tips, kindly ensure that you follow the manufacturer’s directions in order to make sure that your unit is working effectively and efficiently. Thank you.